Each of our projects tells a story. That's what we do. 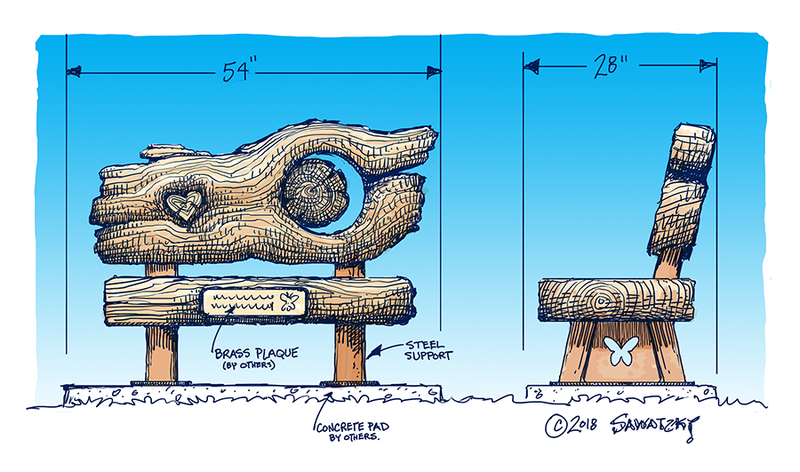 A current project is a memorial bench for a graveside. The story... 'I love you to the moon'. I spent the day under my welding helmet making sure this bench is built to last. The next phase is to attach the galvanized lath and then a layer of concrete which will be hand sculpted to look like weathered wood. Look close and you will see the heart which symbolizes love. Next to the heart, a negative shape around the circular knot resembles a crescent moon. SKALLYWAG BAY ADVENTURE PARK IS OPEN!